Brighterion offers the world's deepest and broadest portfolio of mission critical artificial intelligence and machine learning technologies, providing real-time intelligence that matters from all data sources, regardless of type, complexity and volume. Our technologies are successfully applied in cyber/homeland security, financial markets, real-time cross-channel fraud prevention, AML, credit risk and chargeback prevention, data breach detection, marketing and healthcare. Brighterion has won enterprise-wide acclaim for its technological leadership: Morgan Stanley honored Brighterion with the 2017 Fintech Company of The Year award, recognizing it as the company that had the most significant impact on their mission to continuously innovate for their clients and business. Brighterion was designated a 2017 Cool Vendor by Gartner*, the world's leading IT research firm. The annual Cool Vendor award evaluates technology companies that deliver innovative and impactful solutions. 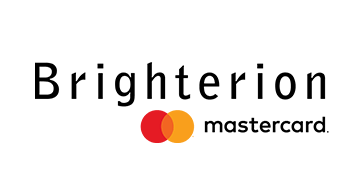 Brighterion has also received awards including the Fraud Innovation World Series Award, the Payment Security Product Excellence Award and the Best Analytical Solution Award. Our products are used and trusted by the largest institutions and governments around the world. *Gartner does not endorse any vendor, product or service depicted in our research publications, and does not advise technology users to select only those vendors with the highest ratings or other designation. Gartner research publications consist of the opinions of Gartner's research organization and should not be construed as statements of fact. Gartner disclaims all warranties, expressed or implied, with respect to this research, including any warranties of merchantability or fitness for a particular purpose.